The South Shore's Number One Auto Body Shop! We will help guide you through the process of insurance, deductibles, and getting your car back on the road in perfect condition. 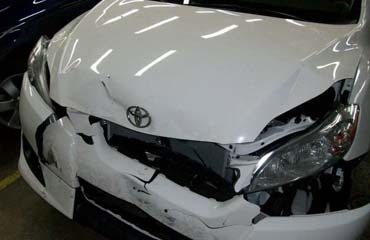 From a small fender bender to major accidents, Ernie's Auto Body can bring your car back to new. Interior, Exterior and everything in between. You've been in an accident. The last thing you need to do is fight with your insurance company. Let us handle your claim from beginning until the job is complete. 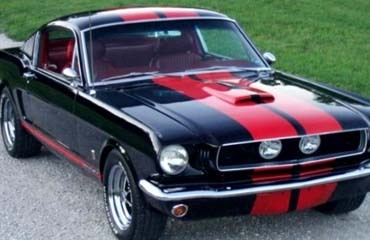 Your old Mustang lost its shine? We can repaint with custom colors or factory specifications on any make or model. When you choose Ernie's Autobody in Hingham, Massachusetts you are getting a full service, family operated business. This is not a chain or franchise, it is a business with over 30 years of experience in helping you with every detail of your repair from beginning to end. 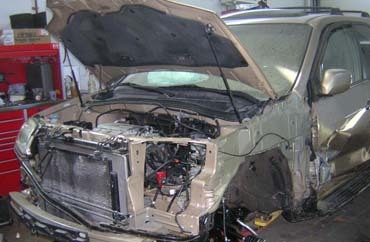 Welcome to Ernie's Auto Body serving the South Shore of Massachusetts for over 30 years. Our modern facility features the latest technology available to put your car back on the road like the day you bought it. We handle all insurance claims from beginning to end to guarantee you receive all the rights and compensation you deserve. Your adjusters can view your car at our Hingham facility. We are registered, fully licensed and insured. Our convenient location makes it easy to drop off your car night or day and take advantage of our on site car rental arrangements for pick up or drop off so you won't lose any unnecessary precious time. Towing is available. 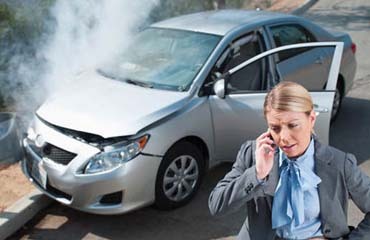 If you are involved in an accident, you can have your car towed directly to us. Commitment to Excellence - With thousands of satisfied customers and many repeat customers, Ernie's Auto Body has earned the respect and admiration of customers and industry professionals alike.